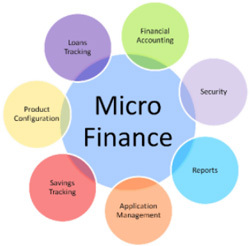 Microfinance companies are those who provide financial services to small businesses, micro-entrepreneurs, poor and low-income clients who do not have approach to banking and related service providers due to the high transactional cost. These Microfinance Institutions not only provide loans but also includes services for savings, fund transfers, insurance, RD-FD etc. The Microfinance Company can benefits their clients through the financial management and share the profit to those people who financially weak. MLM Software India experienced team of professionals has designed and developed lot of Software for Microfinance Companies. Our clients are moving on successive path with our technical support and services.